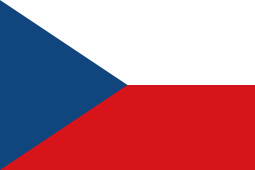 Zdeněk Štybar (Czech pronunciation: [ˈzdɛɲɛk ˈʃtɪbar]; born 11 December 1985 in Planá u Mariánských Lázní) is a Czech professional cyclist who rides for UCI ProTeam Etixx–Quick-Step. While best known as a cyclo-cross racer, in 2011 Štybar began his professional road career while continuing to race cyclo-cross. Following consecutive second places in 2008 and 2009, Štybar won the 2010 World Cyclo-cross championships in his home nation. In 2011, he won the World championships for a second time. In 2012 he pulled off a victory on the road by winning a stage in the Four Days of Dunkirk. In 2013, Štybar came in sixth in Paris–Roubaix. He was in contention for the victory as he was part of the leading trio with Sep Vanmarcke and Fabian Cancellara when he hit a spectator, causing him to slow down to clip in his pedals. He tried to get back to the two leaders, but to no avail. 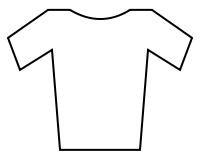 In August of the same year, Štybar took the overall victory in the Eneco Tour – part of the UCI World Tour – winning two stages in the process. Later that month, Štybar won stage 7 of 2013 Vuelta a España beating world champion Philippe Gilbert. 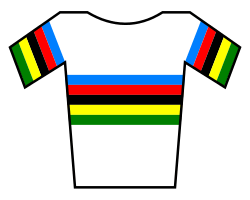 In 2014, Štybar won the World Cyclo-cross championships for a third time in an intense battle with defending world champion Sven Nys. In trying to defend his title in the 2014 Eneco Tour, Stybar crashed into the steel barriers in the fourth stage near the finish line and had to undergo hospitalization. He broke and lost his front upper teeth in the crash. Upon his return, he complained to the UCI that the same dangerous barriers were used in the Grand Prix Cycliste de Québec. His first victory upon his return was Binche–Chimay–Binche, where he attacked inside two kilometers to go on a small cobbled climb after being led out by his teammate Niki Terpstra at the foot of the rise. Štybar had time to celebrate, coming in 2 seconds before John Degenkolb and the charging sprinters. In 2015, Stybar won the Italian Classic Strade Bianche. He also had a good Belgian classics campaign. He finished second on the E3 Harelbeke behind Geraint Thomas. On the Tour of Flanders, his false set of front teeth he broke in 2014 rattled loose as he was riding a cobbled climb and he had to take them off. He still managed to finish the race in ninth position. He grabbed second place on Paris–Roubaix, being outsprinted by John Degenkolb at Roubaix Velodrome. He was named in the start list for the 2015 Tour de France. He met success on Stage 6, where he powered away on a short but steep incline situated a few hundred meters before the line. He kept Peter Sagan from reaching him, crossing the line with a two seconds advantage over the reduced group. This chart shows Štybar progress in five monuments and the classics he mostly participated in from 2012 to present. ↑ "Stybar's Paris-Roubaix ruined by collision with spectator". Cyclingnews.com. Bath, UK: Future plc. 7 April 2013. Retrieved 9 April 2013. ↑ Benson, Daniel (18 August 2013). "Stybar storms to Eneco Tour victory in Kapelmuur". Cyclingnews.com. Future plc. Retrieved 18 August 2013. ↑ "Classifications after the stage 7 / Stage". 2013-08-30. Retrieved 2014-01-10. ↑ "Stybar tops Nys for third UCI Cyclo-cross World Championship title". ↑ "Stybar crashes out of the Eneco Tour". Cyclingnews.com. Future plc. 14 August 2014. Retrieved 12 September 2014. 1 2 Richard Windsor (9 April 2015). "Zdenek Stybar back to his best after Flanders dental failure". Cycling Weekly. IPC Media Sports & Leisure network. Retrieved 13 April 2015. ↑ Laura Weislo (12 September 2014). "Stybar appeals to UCI to find safer barriers". Cyclingnews.com. Future plc. Retrieved 12 September 2014. ↑ Joseph Doherty (8 October 2014). "Stybar's late attack seals Binche-Chimay-Binche". Cycling Quotes. CyclingQuotes.com 2013. Retrieved 8 October 2014. ↑ "Thomas solos away from Stybar to win E3 Harelbeke". Cyclingnews.com. Future plc. 27 March 2015. Retrieved 13 April 2015. ↑ "Degenkolb wins Paris-Roubaix". Cyclingnews.com. Future plc. 12 April 2015. Retrieved 13 April 2015. ↑ "Tour de France: Stybar wins stage 6 on short, punchy hill in Le Havre". Cyclingnews.com. Immediate Media Company. 9 July 2015. Retrieved 9 July 2015. Wikimedia Commons has media related to Zdeněk Štybar.